Yoma Strategic's 1H19 net profit supported by fair value gains. Weak results from Yoma Land and Yoma Motors mitigated by improvements from Yoma Fleet and property rental business. Launched City Loft, a new affordable housing project and sold 50% of units in 1 week. Bringing in Auntie Anne’s Pretzel; Wave Money achieved cash-flow breakeven in Sep18. BUY, Target Price lowered to S$0.40. We maintain our BUY rating on Yoma but lower our Target Price to S$0.40 (prevoiusly S$0.58), based a higher 60% (previously 40%) discount to RNAV. This implies a 1x forward P/NAV. 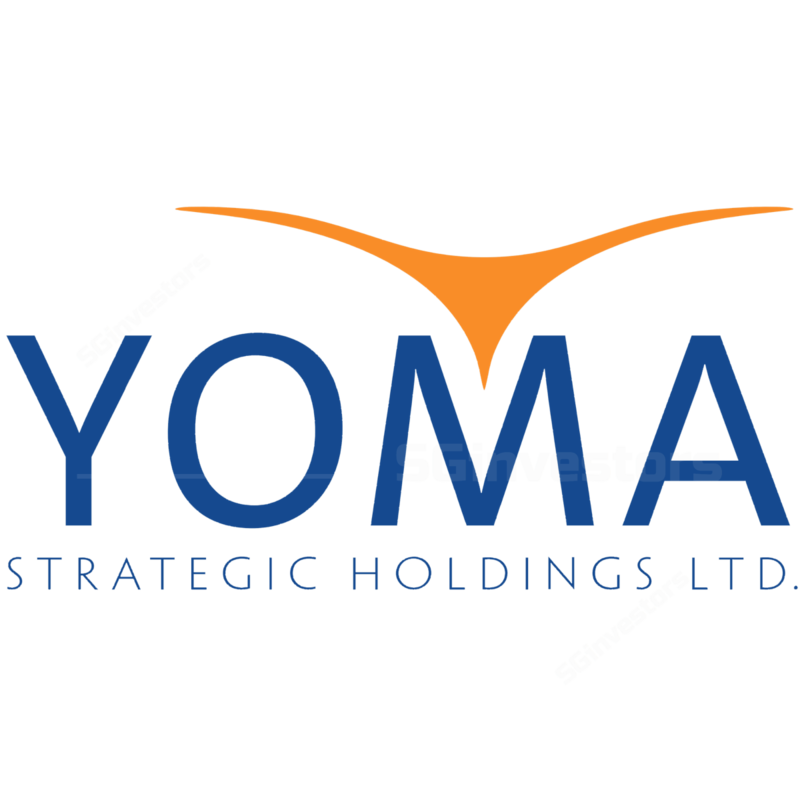 Yoma Strategic currently trades at an attractive 0.7x P/BV as it rides through the gestation period of its businesses. Where We Differ: Best proxy to the potential economic turnaround in Myanmar. Despite some disappointment on Myanmar’s economic growth, we believe Yoma remains the best proxy to ride on a potential economic turnaround in Myanmar with the new government in place. Non-real estate businesses turning profitable. 1H19 net profit supported by fair value gains. Yoma Strategic's 1H19 net profit grew 59% y-o-y to S$10m largely due to S$66m of fair value gains, offset by higher interest costs and currency translation losses. Wave Money achieved cash-flow breakeven in Sep18. Maintain BUY, Target Price lowered to S$0.40. We remain positive on the group's prospects and see it as a beneficiary of an improved economic outlook with the new Myanmar government. 1H19 net profit supported by fair value gains; Yoma Fleet and real estate rental business recorded largest improvements. offset by higher share of losses from JV and associates of S$6.5m in 1H19 vs S$1.3m in 1H18, higher interest cost from higher borrowings (S$10.2m in 1H19 vs S$7.2m in 1H18), and currency translation losses of S$20m in 1H19 vs S$4.6m gains in 1H18. 1H19 revenue grew 21% y-o-y to S$71.3m, largely led by revenue from real estate development doubled y-o-y from S$16m in 1H18 to S$33m (mainly due to change in recognition following the buyback of StarCity Zone C as explained further below) but offset by Yoma Motors (-35% y-o-y) due to delay in farmers taking delivery as a result of strong monsoon season in 2Q19. Real estate rental services and Yoma Fleet (vehicle rental business) showed strong growth at 33% y-o-y and 17% y-o-y growth respectively. However, Yoma F&B fell 1% y-o-y. Despite strong revenue growth, 1H19 core EBITDA (ex-fair value gains) fell 22%, impacted by all segments except real estate rental services and marginally lower losses from Yoma F&B despite opening new outlets. losses from Yoma Motors deteriorated further partially due to higher costs incurred for its new Volkswagen showrooms in Yangon and Mandalay which is expected to open by 3QFY19. The rest of the segments recorded improved margins especially real estate rental services (+10bps) and marginally lower losses from Yoma F&B. Similarly, 2Q19 net profit was supported by fair value gains, Yoma Fleet and real estate rental business. higher interest expenses (+55% y-o-y). 2Q19 revenue grew 27% y-o-y to S$42m led by all segments except Yoma Motors (-41% y-o-y). 2Q19 core EBITDA (ex-fair value gains) fell 21% y-o-y to S$9m mainly due to Yoma Land (-22% y-o-y) and higher losses from Yoma Motors following costs incurred by Volkswagen showrooms (S$1.0m EBITDA loss in 2Q19 vs S$0.1m in 2Q18), offset by Yoma Fleet (+43% y-o-y), real estate rental services (+3% y-o-y) and marginally lower losses from Yoma F&B. Real estate business remains key core EBITDA contributor despite revenue growing from non-real estate business. Real estate business (including real estate rental services) comprises 61% of its total revenue but 97% of its core EBITDA (ex-fair value gains). Strong sales seen in new affordable housing segment with attractive financing options. Yoma has launched City Loft in StarCity, a new division of modern affordable housing that targets the underserved middle-income market in Yangon. We understand that Yoma via City Loft is the first to offer mortgage loans of up to 25 years at LTV of 70% to 80%. Currently, mortgage loans are only up to 5 years. This has opened up a sizeable new market of quality apartments at affordable price points with accessible mortgage loans. City Loft recorded great success in the first phase with 50% of 250 units sold within a week. Management is encouraged by the sales and plans to launch some 2k units in one to two years. We estimate the GDV of 2k units could be S$100m over 1.5 years of construction period. New venture to bring in Auntie Anne’s Pretzel to Myanmar; KFC opened 26 stores to-date vs 32 stores target by end- FY19. After announcing the Little Sheep Hot Pot franchise in May18, Yoma is set to bring in another franchise, Auntie Anne’s Pretzel, to expand its F&B franchise portfolio. Given its smaller setup requirements and an ambitious expansion plan, management expects to launch its first outlet by end of FY19 (Mar19), similar to Little Sheep Hot Pot. In addition, management expects this could potential breakeven with fewer stores given its minimal capex requirement. KFC has opened 2 new stores in 2Q19 in Monywa and Pyay, making it a total of 26 stores to-date. It is on track to meet its 32 stores target by FY19, at which KFC is expected to breakeven from 30 stores onwards as it achieves economies of scale. Wave Money achieved cash-flow breakeven in Sep18, within 2 years of operations. Yoma acquired 34% stake in Wave Money in Mar18, a mobile payment solutions and services provider (remittance and e-wallet) in Myanmar. Wave Money achieved cash-flow breakeven in Sep18, within 2 years of operations, ahead of its own expectations and a typical breakeven period of 3 to 5 years for a fintech. Since Yoma’s acquisition, its agent network has grown by some 14k to 34k (within some 6 months). While still small, Wave Money could contribute marginal profits from 3Q19 onwards. Maintain BUY; Target Price lowered to S$0.40 (from S$0.58). We maintain our BUY rating but lower our Target Price to S$0.40 from S$0.58 based on a higher discount of 60% (from previously 40%) to RNAV of S$0.96. This implies a 1x forward P/NAV. We raised our FY19F earnings by 57% to factor in the fair value gains. However, we lowered our FY20F earnings by 38% to factor in a lower margin from the affordable housing property segment. We maintain our BUY rating as we continue to believe that Yoma is the beneficiary of potential economic turnaround in Myanmar with the new government in place. With its diversified portfolio in property, consumer and automotive sectors, Yoma could tap into the growth in various sectors in Myanmar.